The hit holiday show “A Well-Strung Christmas” devised by Well-Strung producer Mark Cortale and director Richard Jay-Alexander debuts in San Diego for one night only. 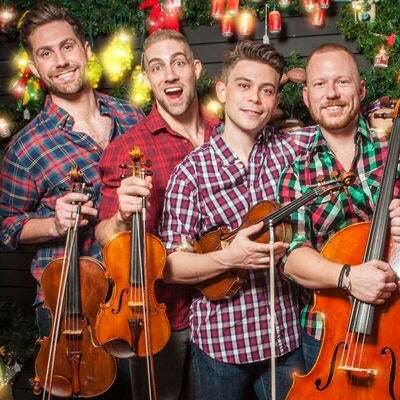 The show features the group’s own unique pop-classical spin on some of the most beautiful and traditional holiday favorites, such as “Silent Night”, “Sleighride,” all the way to Dolly Parton’s “Hard Candy Christmas” and everything in between. Well-Strung stars Edmund Bagnell, Christopher Marchant, Daniel Shevlin and Trevor Wadleigh. A Well-Strung Christmas is directed by Richard Jay-Alexander.